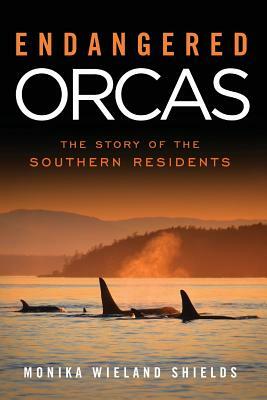 Orca Watcher: What's In A Name? What do the San Juan Islands have in common with Wilkes Land in Antarctica? Other than being surrounded by water, you might think (like I did): not much. Actually, both were explored and charted during the US Exploring Expedition between 1838-1842. This amazing excursion, led by the controversial Charles Wilkes, is largely forgotten in American History in part because of personal and national politics that kept the results from being celebrated by the nation, and in part because the focus of American citizens was turning towards the wild and relatively unknown West rather than maritime exploring expeditions like those of Captain Vancouver and Captain Cook. I recently read a fascinating account of the "U.S. Ex. Ex. ", also known as the Wilkes Expedition. Sea of Glory: America's Voyage of Discovery is written by Nathaniel Philbrick, an American author who has won the National Book Award for his works relating to the sea. It's a history that is full of high-seas adventure and personal drama. The make a couple of treks towards Antarctica and survey many of the islands in the Pacific, but I was especially interested in this tale because towards the end of the expedition they survey the inland waters of Washington as well as the Columbia River delta, both places with which I am familiar. More than 300 Washington place names were designated by those surveying the region during the Wilkes Expedition, and it was interesting to read the stories behind some of the people for whom local landmarks are named. The San Juan Islands were originally explored by the Spanish, hence we have names like San Juan, Lopez, and the Strait of Juan de Fuca. When Wilkes came through, they re-named everything, and modern maps reflect a mix of both the Spanish and American names. Waldron Island ~ Thomas and Russell Waldron were two brothers on the expedition. One was a purser and the other a captain's clerk. Waldron was known as Isla Lemos by the Spanish and Shi-ish-uvey by the Lummi Indians. Vendovi Island ~ This is an interesting one. Vendovi was a Fijian arrested by the expedition for murdering an American sailor. As the expedition went on, he got more freedom aboard the vessels and became well-liked by the crew. He was known as a colorful character. Vendovi Island was recently purchased by the San Juan Preservation Trust. Stuart Island ~ Frederick Stuart was also a captain's clerk on the expedition. This island was known as Islas Moraleja by the Spanish and Qunnis (whale) by the Lummi. Spieden Island ~ William Spieden was a purser on the expedition. Sinclair Island ~ George Sinclair was the sailing master aboard one of the expedition's vessels. Sinclair was known as Cottonwood and Urban Island by local pioneers, Isla de Ignacio by the Spanish, and Scut-las by the Lummi. Alden Bank ~ James Alden was a member of the US Ex. Ex. who returned in later years as part of another US Coast Survey and discovered this bank. Luckily, not all of Wilkes' place names last. He originally named our collection of islands the Navy Archipelago. I, for one, definitely prefer San Juan Islands to that. In doing a little extra research about these local place names, I came across another great resource. The Washington Place Names Index is a very interesting resource provided by the Tacoma Public Library. You can search for specific geographic names in the state of Wahsington and read the history behind place names. So, what does all this have to do with Antarctica? During the US Ex. Ex. 's surveys of Antarctica, they discovered and names 1500 miles of shoreline that are now known collectively as Wilkes Land. Names like Spieden and Waldron are well-known by San Juan Islanders, and those that (like me) didn't know about this portion of American history may be surprised to know that along the Antarctic coastline are places like Cape Waldron and Cape Spieden, named after the same people for whom our local landmarks are named. I generally focus on natural history on my blog, but part of fully understanding a place is learning about the human history, as well. I really enjoyed reading about the Wilkes Expedition, particularly as it related to the San Juan Islands, and feel like it gave me a new appreciation for part of our local history. Very interesting blog and what a coincidence. We just saw a lot of photos of Antarctica last night during a fantastic lecture by Noah Strycker about the Adelie penguin research he did there. What an amazing speaker, and very funny!